Home remodeling San Diego design teams, which can work directly with general contractors San Diego, can completely transform the room through simple lighting upgrades. Possibilities are limitless with the variety of lighting fixtures, designs and arrangements. The remodeling team matches the architectural aspirations to the various design options and installs the new lighting for the upgrade project. Nothing can transform the energy of a room in a home remodeling San Diego project like a chandelier. Many people are hesitant to consider this decorative lighting because it is viewed as upscale and is often reserved for certain settings, however, the chandelier can be a welcomed addition to any residential project. Chandeliers are a common selection because they can be installed on budget and can fit into practically and design concept. One of our most common San Diego home remodeling projects incorporates the use of flush mount fixtures. These stunning lighting pieces aren’t overly embellished. The subtle lighting is suitable for any dining room or bedroom. Ideal for low ceilings, they serve as a great romantic addition for the bedroom. 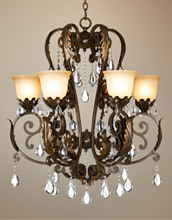 The semi-flush mount ceiling fixture is similar in design the chandelier. When installed in the San Diego home remodeling project, the semi-flush mount has the appearance of an elegant chandelier. Clients who would rather have an alternative to the chandelier can look to the semi-flush mount ceiling fixture as an option in the home remodeling San Diego project. Most clients are surprised at how versatile the fluorescent style of lighting can be. It can be used functionally to illuminate a garage or for aesthetic purposes to transform the ambiance of a room. The inexpensive lighting alternative saves homeowners money because the fixture can illuminate a larger area. It comes in different styles and be incorporated into any interior design aspirations. Recessed lighting is attached differently than other forms of lighting. Instead of being directly mounted in a way where the fixture is flush from the ceiling, it is attached in a manner that redirects the flow of light. The subdued lighting is usually installed in the kitchen along the back splash or cabinetry to supplement existing, prominent lighting. Track lighting was once used exclusively for functionality. It now often used to provide lighting along the kitchen islands or counter top. The fixtures can be installed in unique, decorative patterns. The layout of the tracks determines the appearance and lighting effect of the accent lighting once it is mounted. The track design gives homeowners latitude in design and offers endless opportunities for customization.